Start Planning Your Getaways to our Minnesota Inn for 2019 Today! The St. Croix River Valley in Minnesota is an incredible destination to visit at any time of year, and as such has proven to be a popular and sometimes busy place. People come from all over the Midwest to tour wineries and go wine tasting, enjoy the impeccable scenery and nature the valley is known for, and to enjoy the unexpected blend of urban activity found in the towns of the Chisago Lakes Area. In the towns near our Bed and Breakfast, you’ll find a variety of art and culture, delicious restaurants, bustling boutiques, and incredible hiking, biking, and kayaking or canoeing trails. Combine that with the rural, quaint, yet sophisticated vibe of the St. Croix River Valley as a whole, and you have the perfect getaway destination. Given the area’s popularity, it’s best to book your getaways early and often, as the best choices for lodging, like the Summit Inn Bed and Breakfast, tend to book up well in advance. Start planning, and book your room at our Center City Bed and Breakfast in Minnesota today. Book your Getaways for 2019 Today! 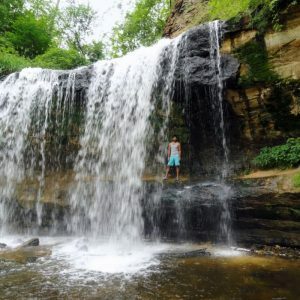 There are an abundance of activities to do in the St. Croix River Valley, not the least of which include taking beautiful hikes, bike rides, and boating trips through our beautiful scenery. And if that’s all you do while here, you’ll leave with a deep appreciation of the area. However, there’s also so much more to Center City and it’s surrounding towns, and our romantic Bed and Breakfast is just the beginning. You’ll notice what sets us apart from our competition from the first moment you arrive at our doorstep. The warm, sophisticated, and romantic atmosphere of our Inn captivates the very essence of romance. Explore the region’s nordic history along the Swedish Immigrant Regional Trail, or travel along the Swedish Barn Quilt Trail. Take a scenic Boat Tour to Taylors Falls. Take in a performance at the Festival Theatre. Explore the many art galleries and studios in the Chisago Lakes Area. Charter a boat and relax and enjoy a day of fishing on one of the regions many lakes. Go Kayaking or Canoeing on the Chisago Lakes Water Trail. Visit the many orchards, vineyards, or gardens in the St. Croix River Valley. Take a hike on one of our exceptionally beautiful trails. Go antiquing in our historic, charming towns of Chisago Lakes. As you can see, getaways to Center City can be filled with plenty of fun and adventure at these great attractions. Whether you come from near or far, there truly is only one Minnesota, and it’s worth seeing. Book your getaways to our Center City Bed and Breakfast for 2019 today.